Nanded is a city in Maharashtra state (western central India), the 8th largest urban agglomeration of the state and the 81st most populous city in India. Step out of Nanded to go to Hingoli and see Aundha Nagnath Temple, which is approximately 2 hours away. 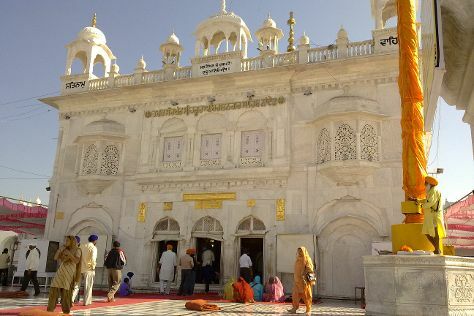 There's lots more to do: admire the landmark architecture of Hazur Sahib, take in the spiritual surroundings of Kaleshwar Temple, contemplate the long history of Kandhar Fort, and see human ingenuity at work at Isapur Dam. To see other places to visit, photos, and tourist information, use the Nanded trip planning site . You will leave for home on the 13th (Thu).